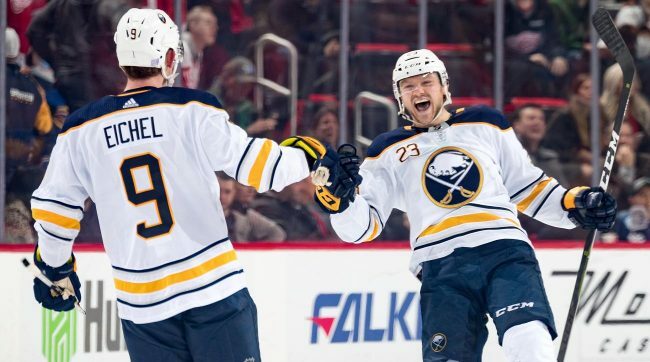 On Tuesday, the Sabres beat the Sharks in overtime 3-2. But that wasn’t just an ordinary victory that you’d see any night in the NHL. The victory was Buffalo’s 10th in a row, a streak that began way back on November 8th. This win streak has sky-rocketed a last-place Sabres team up the standings. And now, on November 28th, the Buffalo Sabres have the best record in not just the division, or the conference, but the entire National Hockey League. What is going on in Buffalo, and how long can this Cinderella story last? 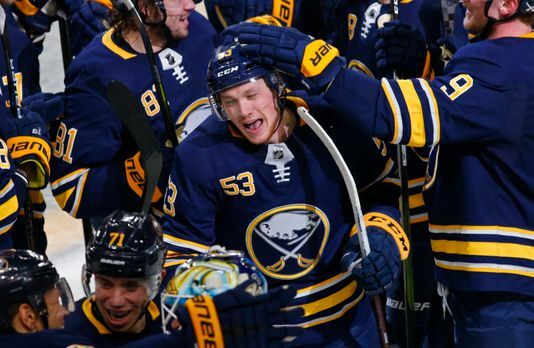 The Sabres 10-game winning streak is tied for the longest in franchise history. It’s the longest streak in the NHL since the Blue Jackets won 16 games in a row during the 2016-17 season. Buffalo is averaging 3.6 goals per game over the streak, while only allowing more than two goals three times. However, what makes this streak so beyond belief is the way the Sabres are winning these games. Of the 10 games, nine of them have been decided by just one goal. And with a lot of close games comes overtime, so naturally, Buffalo has played more extra time than anyone during this stretch. Tuesday’s win over San Jose marked the 7th game in this span that required extra time, and the 3rd one in a row. Between those seven games, Buffalo has won four in overtime and three in a shootout. Ironically, they made it to overtime just twice this season before the winning streak began, losing both times. 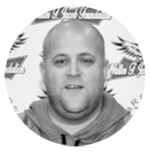 As a franchise that has missed the playoffs for seven consecutive seasons and finished in last place in the Atlantic division for four of the last five years, it should come as no surprise that general manager Jason Botterill wanted to make some sweeping changes. This offseason, Buffalo was one of the most active teams in hockey. After drafting defenseman Rasmus Dahlin with the first overall pick in the NHL Draft, Botterill traded star center Ryan O’Reilly to the Blues in exchange for Vladimir Sobotka, Patrik Berglund, Tage Thompson, and two draft picks- including a 2019 1st round pick. They also acquired winger Conor Sheary from the Penguins and signed goaltender Carter Hutton to take over the starting role. But no move has paid off more for Botterill and the Sabres than the acquisition of Jeff Skinner. On August 2nd, Buffalo acquired Skinner from the Hurricanes in exchange for prospect Cliff Pu and three draft picks. Through 25 games, Skinner has been nothing short of spectacular. The 26 –year old winger is tied for the league-lead in goals with 19, along with an outright lead of 14 even-strength goals. His latest goal was the overtime winner to beat the Sharks on Tuesday. Skinner, in the final year of his contract, is having an enormous season skating alongside cornerstone center and captain Jack Eichel. Eichel’s 23 assists lead the team and is top five in the NHL. Along with those two, the newcomers are also impressing. Dahlin leads all rookies with 11 assists, Thompson has three goals in his last five games, and Hutton has a 2.50 GAA and .920 save percentage in 18 starts. 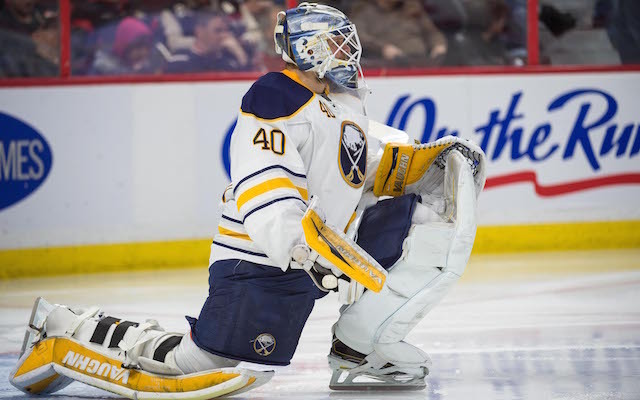 No one is expecting the Sabres never to lose again, and with the way the long NHL season goes, a losing streak is likely in their future. But that “future” is very bright in Buffalo, with this win streak putting Buffalo firmly in the playoff conversation and then some. The Sabres will go for win number 11 in a row Thursday in Tampa Bay against the Lightning. Following that, they’re at the Panthers the following night before traveling to Nashville to take on the Predators.